Question of the Week: February 22nd | Are You Being Real? How am I causing the way I feel right now, and what alternative could I create? 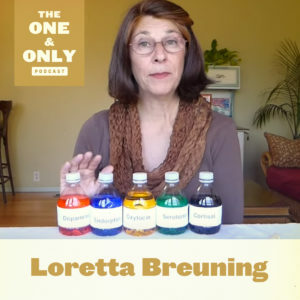 This is the question of the week from Inner Mammal Institute founder Dr. Loretta Breuning, and this week’s guest on The One & Only Podcast. It’s an opportunity to take responsibility for your feelings and emotions (versus being a reactive victim to them), to explore other ways you could respond to the catalyst of those feelings, and in turn, make a powerful choice to shift your perspective, feelings, and mood. What does this question evoke in you? Are there any particular situations where it’s more challenging for you? Chime in on the conversation below, and if you have any valuable tips, please do share them as well!